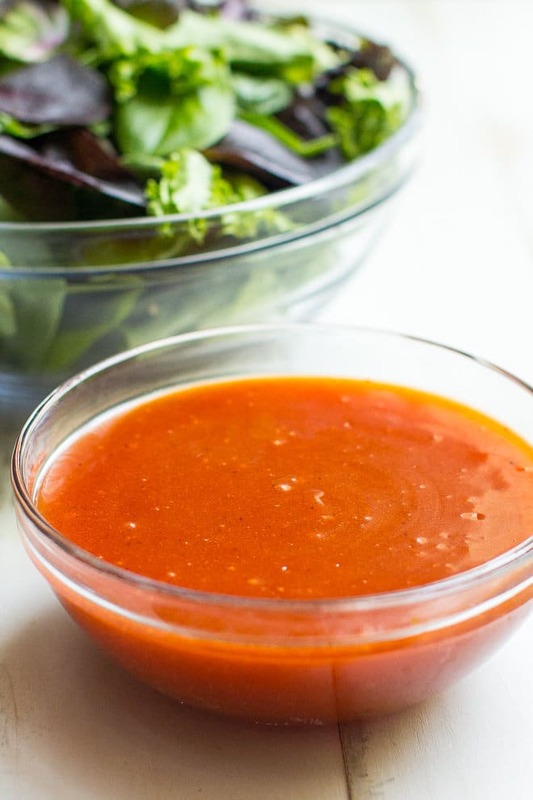 This tangy homemade French Dressing recipe is WAY better than anything you can buy in a bottle, and it’s made with simple, common pantry ingredients! There are various reasons you might want to make your salad dressing from scratch including. The last time I bought French salad dressing at the store, it tasted awful. And what’s the point of that? If I am going to eat something highly processed and overly sugary, it ought to at least taste good. Since it tasted awful, and I had a Dorito Taco Salad on the line, there was only one course of action. I’m not going to claim my version of Homemade French Dressing is healthy or better for you, but at least I can say it tastes great. 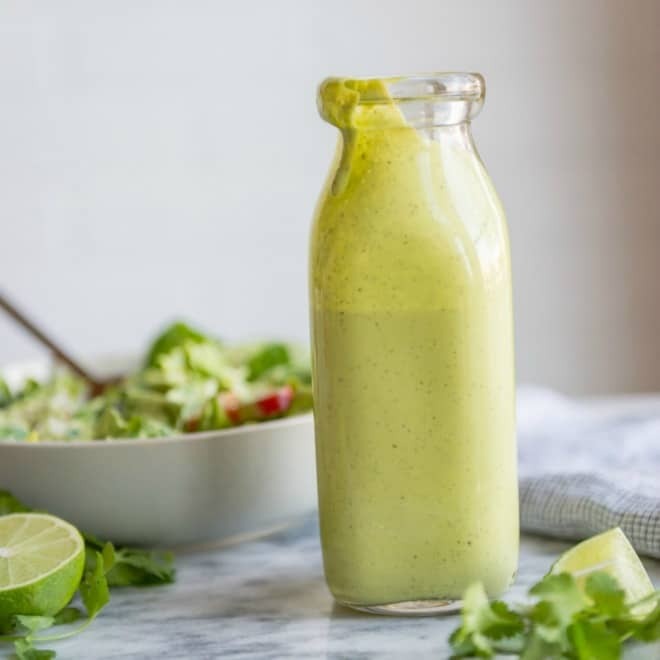 Thick and tangy with a sweetness and some spice, this is the French salad dressing of my dreams. It’s what I remember from the Greek restaurants growing up, and it’s exactly what I want on my Dorito Taco Salad today. 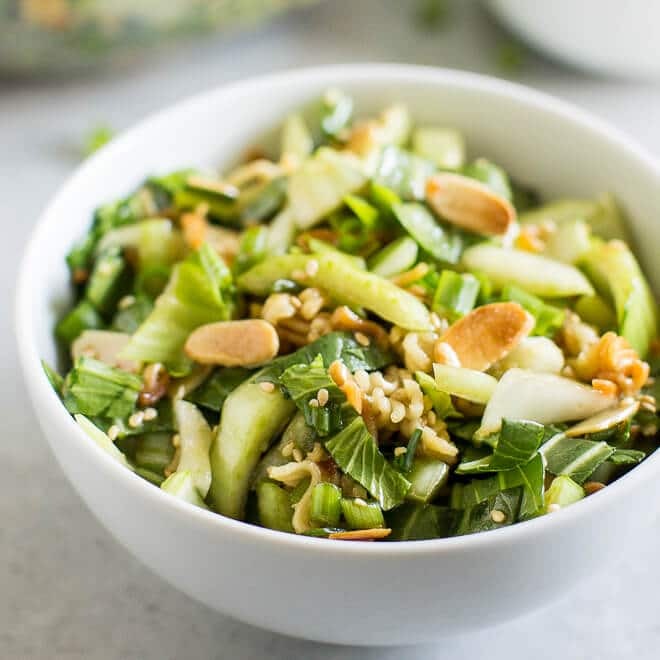 The best part is, it comes together in a minute or two with basic pantry ingredients you maybe/probably already have on hand. 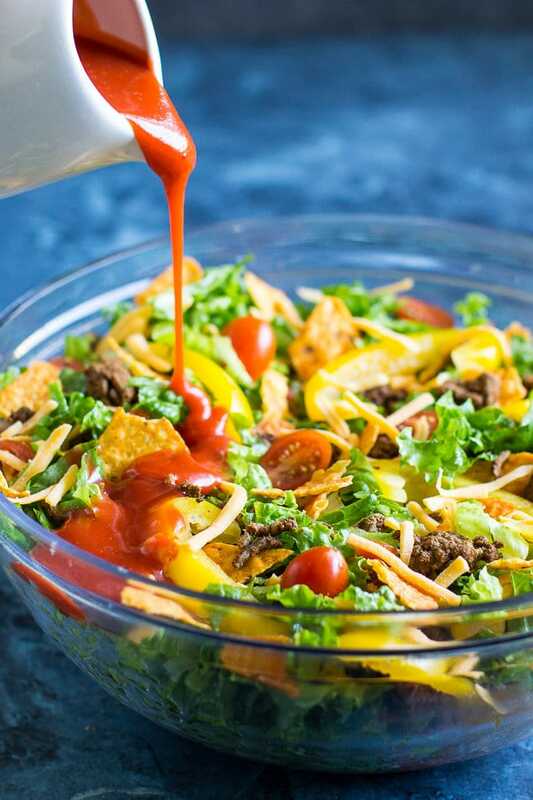 If you are making this for a Dorito Taco Salad, you’ll probably only need half the recipe. But, it’ll keep for up to 4 days in the refrigerator so feel free to make the full recipe and use it elsewhere! 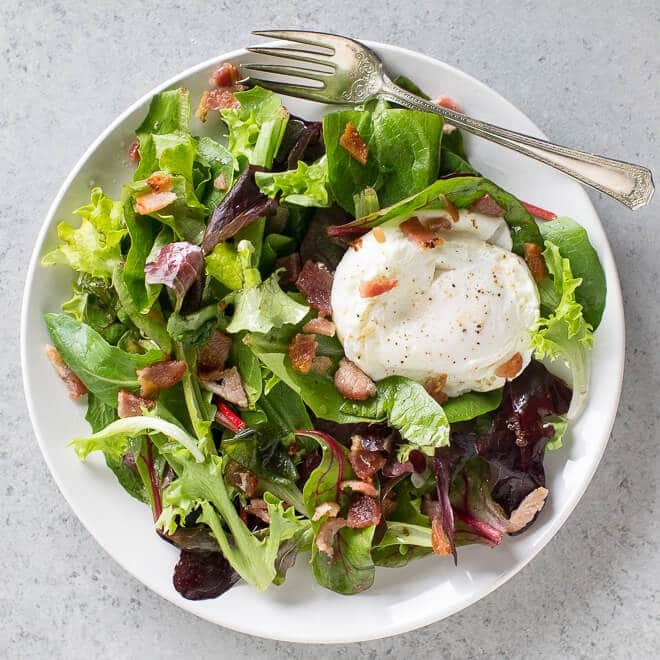 Save this Homemade French Dressing Recipe to your “Salads” Pinterest board! 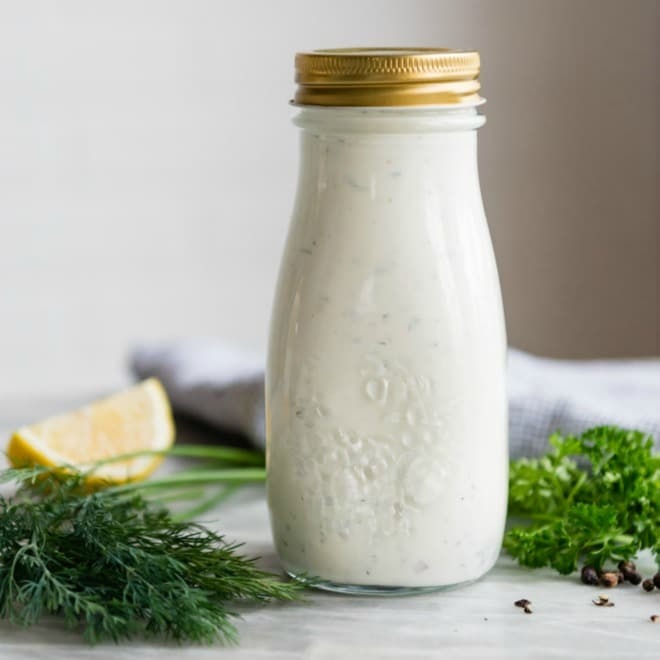 This tangy homemade French Dressing recipe is WAY better than anything you can buy in a bottle, and it's made with simple, common pantry ingredients! Combine all ingredients in a food processor or blender and blend until smooth. Store covered in the refrigerator for up to 4 days. What a great combination that includes all my favorites and all the fresh veggies in peak season. 5-stars Meggan! Ok I love the idea of this, but are you sure you have the amount of sugar right? I made this and it’s basically just a sugar paste. It’s so horribly cloying. Maybe about a third of a cup of sugar would be better? This is the way I make it, yes. Based on your feedback, though, I should probably have a suggested range for the sugar for people who don’t share my taste buds! I’m so sorry about that, Mike. I admit it is sweet, but to me that’s not a bad thing. I guess that’s how I grew up with it. I’m sorry again, I’ll make some notes so people don’t automatically use all the sugar. You did add the oil and the vinegar, right? I’m sure you did. But it shouldn’t be a paste at all, so that’s the only reason I’m asking. Sorry again! Yes I used regular extra virgin olive oil. Maybe paste was the wrong word but it is very thick for a dressing and between the cup of sugar and the corn syrup in the ketchup, it’s like half sugar. Anyway I was making it for a crock pot recipe so I just used it anyway. We’ll see how it is after 4 hours in the crock pot. I’m wondering why you can only keep it 4 days. Nothing in that recipe spoils. Hi Anne, that’s just the general food safety/CDC guidelines for recipes. But you are right – none of this stuff would spoil on its own. Why would it spoil if combined? I just have to follow the guidelines established by the powers that be so I’m less likely to be sued. LOL As a lawyer, I respect that answer. Regarding “chili powder”–is this ground red pepper/cayenne or the spice blend typically refrred to has chili powder? Thank you. Hi Christine! Chili powder is the spice blend. Otherwise I call it cayenne pepper, but it’s definitely confusing. Sorry for the confusion! Thanks for the question. I wanted French dressing home made and this hit the spot. Maybe I could have used a bit less sugar, but it was exactly what I was looking for. Thank you! Do you think you could use stevia to decrease sugar? Hi Rhonda, yes I don’t see why not. I can try this in the next couple of weeks and post my results (I’m a Stevia consumer myself). Or in the meantime, just try adding it to taste instead of sugar and see what you think! Good luck and thanks for the question. Hi Rhonda! I made the dressing with Stevia. I think 3 packets (3 grams) of Stevia is a fine substitute for the sugar. It has sweetness without tasting funny. You should try it yourself, you could even start with 2 packets and see what you think! I hope this is helpful. Good luck and thanks, let me know if you need anything else. I am looking for a French dressing that has no vinegar or any tomato products due to a cancer diet that I am on which doesn’t allow those products. I’ve lived 3 years beyond what the doctors projected by avoiding these products. I’ll use lemon juice in the place of vinegsr, but what should I use to replace the tomato? Hi Tom, I am happy you are beating the odds and it’s amazing to think it’s because you are avoiding vinegar and tomato juice. I bought the Plant Paradox book recently so I wonder if there’s some truth to that?? In any case, you could try using something like miso paste to replace the tomato, but it would obviously give it a completely different flavor. If you’d like, I could play around with some options and report back. My next recipe development day is Wednesday of this week (8/29). I am not sure it will be French dressing without the tomato, but I can see what I can come up with. What do you think? Hey this is great! Definitely agree with another commenter about the sugar though. Ketchup is already almost all sugar anyway, so I’ll probably not add any extra sugar next time. Regardless, great recipe! They make Katsup without sugar…but I used tomato paste and brown mustard. I also I subbed honey for the sugar, it is good. I asked for a french dressing recipe with no tomato products. The one thst came up specifically said ketchup. Not scceptacle.